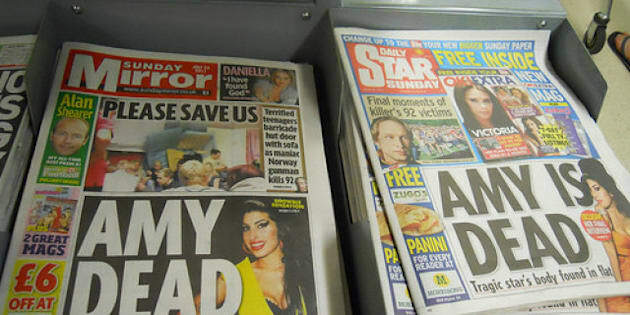 LONDON - Britain's Trinity Mirror newspaper group on Tuesday announced a review into its editorial procedures following the explosion of the tabloid phone hacking scandal at its News International rival. Trinity Mirror PLC spokesman Nick Fullagar said Tuesday that the inquiry was not an investigation into claims of phone hacking, but acknowledged that the scandal over the News of the World's espionage campaign helped prompt the review. "In light of recent events, we thought it was timely to look at our controls and procedures," Fullagar said in a telephone interview. "Clearly, after any significant event, it's just good corporate governance." The Daily Mirror tabloid has come under a cloud of suspicion following revelations that rival newspaper the News of the World — recently shut down by publisher News International — routinely intercepted voicemails left for public figures. One former Mirror journalist has alleged that phone hacking was rife at the left-leaning title when former editor Piers Morgan was in charge. Last week The New York Times has cited five unnamed former journalists at another Mirror title, a sports-and-celebrity-focused Sunday newspaper called The People, as saying hacking was commonplace there as well from the late 1990s to early 2000. The Trinity Mirror has not commented on the claims, although British media watchers have long suspected that the hacking extended well beyond the News of the World. In recent weeks particular attention has been focused on Piers Morgan, with bloggers and journalists zeroing in on references to phone hacking made by the CNN host in his 2005 book, "The Insider" and in past interviews. "Loads of newspaper journalists were doing it," Morgan said in an interview with supermodel Naomi Campbell published in 2007. Morgan had since denied being involved in phone hacking. Trinity Mirror's decision to review its procedures came as British government ministers revealed the extent of their social and business contacts with senior executives of News International — which published the now defunct News of the World tabloid at the heart of the scandal — and with Rupert Murdoch, chief of the parent company, News Corp. The government revealed that Chancellor George Osborne had met Rupert Murdoch and other senior management figures — including James Murdoch, the company's top European executive, and former News International chief Rebekah Brooks — 16 different times since the Conservative Party came to power last year. Prime Minister David Cameron, who earlier said he had 26 meetings with Murdoch or his executives since taking office, had ordered other ministers to release information about their meetings with the media chieftains. The ministers did not state what business was discussed at the various lunches, dinners and private meetings as Rupert Murdoch pursued governmental approval for his doomed bid to take full control of the satellite broadcaster BSkyB. Opposition leaders are now demanding that the minutes of the meetings be released. The scandal, which eventually led Murdoch to withdraw his bid for BSkyB because of stiff governmental opposition, has focused attention on other tabloids in Britain's ultra-competitive news market. Fullagar, the Trinity Mirror's spokesman, said his group's review would cover how editors were made aware of where stories came from. It would also cover how and under what circumstances the Trinity Mirror paid for stories. Fullagar said that the review panel would also include editorial, legal and financial directors. It will be chaired by Charmian Steven, the company's director of risk and audit. Meanwhile the publisher of the Daily Mail tabloid, which competes with the Mirror, said it would not be launching an internal review. Like the Mirror, the Mail has faced allegations that its reporters hacked phones or illegally obtained personal information in their quest for scoops. Daily Mail and General Trust PLC Chief Executive Martin Morgan told reporters Tuesday that his company's board had been assured that its titles had not published stories based on intercepted messages.